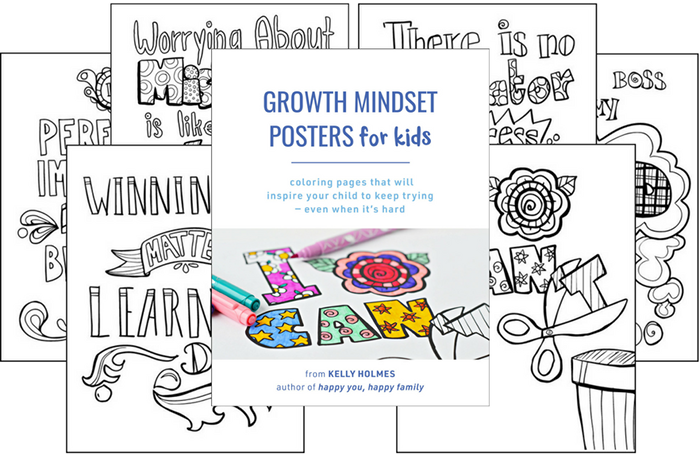 These coloring posters empower your child with a growth mindset that will set them up for success in school, work, and the rest of their life. This is a digital product only. After you order, you get instant access to download the posters, which you can then print. You want to raise a child who keeps trying – even when it's hard. But you overhear them saying, “I can't” or “It's too hard” or “I'm so stupid”…and your heart breaks. 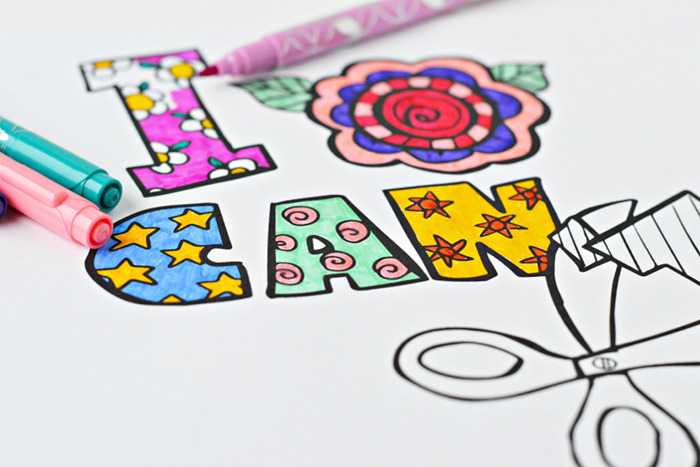 Replying with “You can do it!” just plain doesn't work, and it can make your kid more upset. But these nine growth mindset posters get through to your child in a powerful way. 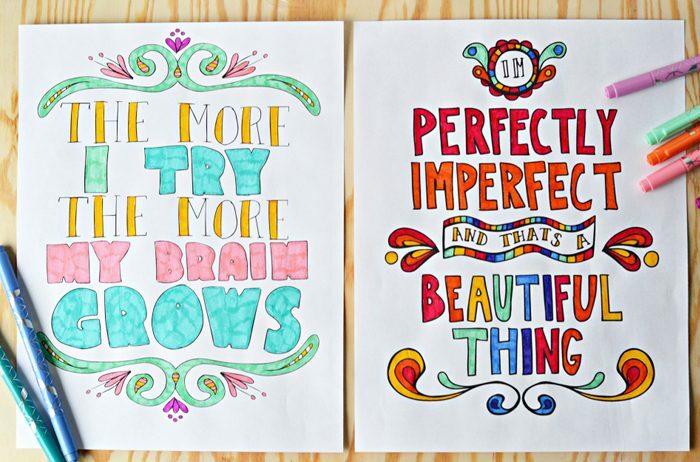 These coloring posters empower your child with a mindset that will set them up for success in school, work, and the rest of their life. This is such an awesome idea! I am excited to start this as weekly mommy daughter time with my 1st grader. She enjoyed the “My brain is a muscle…” one I found a while back. I know she will enjoy coloring these as well. I feel these posters will help her with her self doubt and provide her a more growth mindset…thank you for these resources! Worth every penny! I work with Foster Families and I love these posters! Children in foster care really struggle with a “fixed mindset” as a result of all the trauma they have experienced. Additionally, the adults who work with foster youth often fall into the “fixed mindset” because healing from trauma takes time and there are lots of setbacks. Thank you Kelly!